Oooh-kaaaaay. That's certainly a bold turn away from what I guess everyone was expecting. 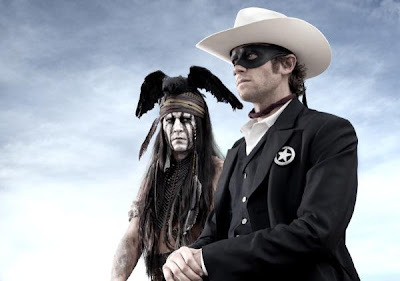 I don't know which is the bigger shock: the Lone Ranger wearing black or Johnny Depp apparently trying to simultaneously channel Captain Jack Sparrow and Alice Cooper. But hey, this movie can't possibly be worse than the last time a Lone Ranger film was attempted, right?